Why choose to join the practitioner team at The Complementary Health Care Clinic? 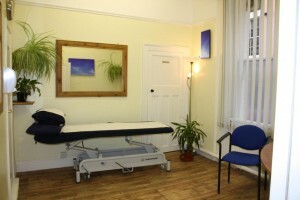 The Complementary Health Care Clinic provides a unique service with a city centre venue for professional practitioners who range from complementary to allopathic medicine. With a high profile location and a long established professional image, this premier Clinic situated in the heart of Norwich actively promotes Complementary Health Care whilst providing a supportive, professional venue from which our practitioners successfully develop their practice. There is a clear difference between the service provided by this Complementary Health Care Clinic and other regional facilities. This difference is in the range of benefits offered within our Registered Practitioner Option and our unique two tier approach which allows you to choose a suitable room hire system to help you develop your professional therapy practice in a manner personally tailored to meet your needs. This convenient central high street location, with a convenient multi storey car park on the doorstep and our positive high street presence ensures vibrant footfall and patient potential. The Complementary Health Care Clinic is based in a tastefully restored, listed building in the centre of the historic Norman City of Norwich. Situated in Exchange Street, the Clinic is just 2 minutes walk from Norwich’s famous Market Place and close to St Andrew’s Multi Storey Car Park. This excellent position provides easy accessibility for all clients who live in Norwich, patients who can drive and for those clients who must rely on public transport. We have a wide range of therapy rooms suitable for all types of treatments, including disabled access with a ground floor treatment room. We also offer a wide range of room sizes, suitable to comfortably accommodate one-to-one therapies up to a choice of rooms for classes and courses. 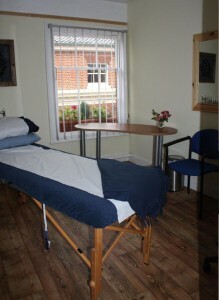 We are also able to offer our first floor Seminar Room which provides a unique space within the Clinic. 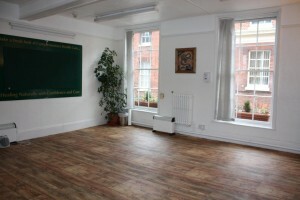 This room is ideally suited to classes such as Yoga, Pilates, Meditation and Tai Chi and is often utilised for professional training courses alongside our other teaching rooms. The room is suitable for approximately 50 people seated, 25 with desk space and 12 people for classes which require individual floorspace. We offer our space not only to health professionals but welcome language teachers and other academic teachers. At a competitive city centre rate of just £12 per hour – our welcoming rooms and spacious seminar venue are also ideal to hire for workshops, courses, business meetings and interviews. If you’re interested in joining our team or hiring a room for occasional use please contact our friendly reception who will organise to show you around our facilities and answer your questions.